What is Chandler Bing's Job? That's the question that lingered for many seasons on my favorite TV show, FRIENDS! If I haven't said it before FRIENDS is one of my favorite shows and I probably know every season by heart. 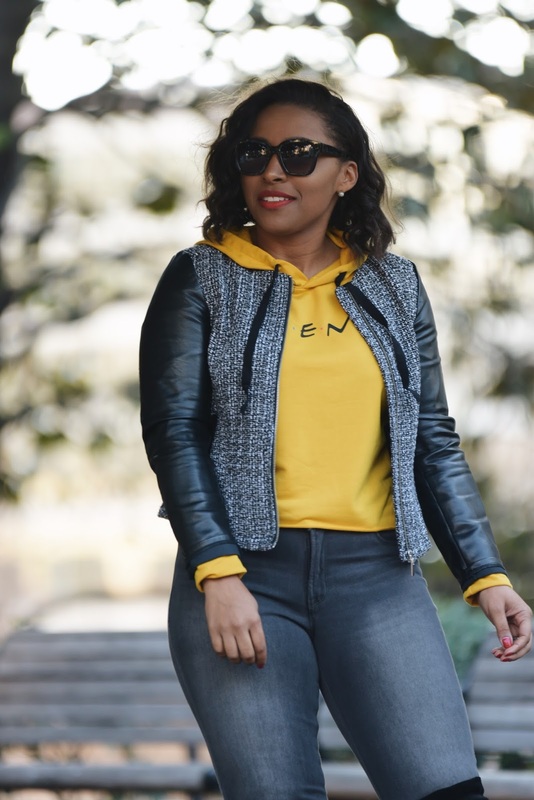 When I received this cool drawstring cropped sweatshirt hoodie from Zaful I knew I had to share the story behind Chandler Bing's job because it got me on my first date with my husband. 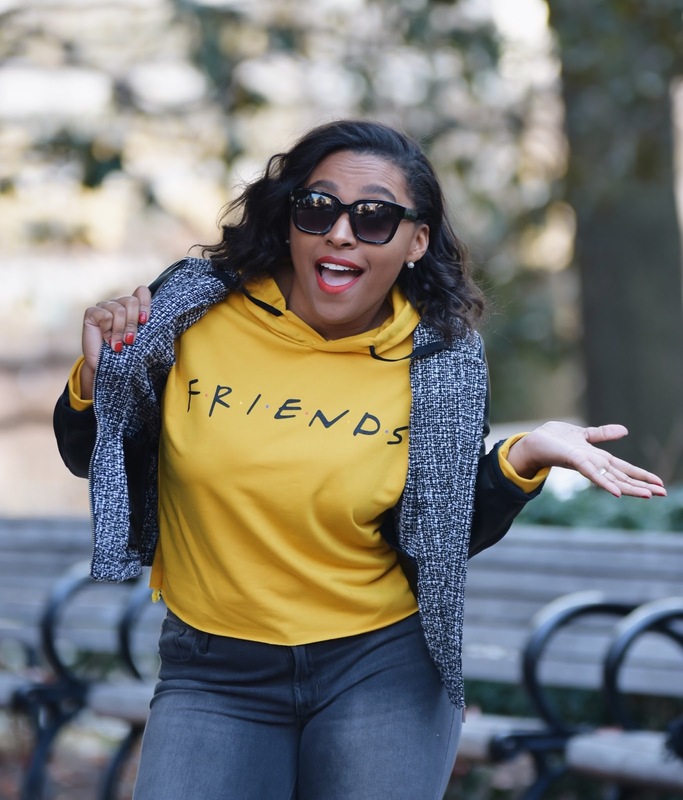 So grab a cup of coffee (no pun intended) and read how FRIENDS played a role in me dating and eventually marrying my husband! Let's take it back to 2011 before Instagram was even born and I use to spend most of my social media time on Facebook. At the beginning of that year, I was fresh out of a relationship that ended terribly and my mindset was definitely not to get into another one for a very long time. I already had my now husband as a friend on facebook because I had met him through a mutual friend. He basically saw a picture of me on our MySpace (yes I said it) and pretty much never forgot my face. He would ask our friend about me from time to time. I even saw him in person from afar when I went to pick up our friend from their job; they both worked at an Elementary School where he taught Drama and she taught Art. When I joined Facebook I added him to my friend's list because I remembered his face. He used to post a lot of motivational quotes on Facebook (he actually STILL does this) and, since I had just left a bad relationship, a lot of them resonated with me. He saw me liking a few of his posts and decided to private message me. I didn't give him the time of day (haha, so bad of me) but eventually one day I did. It started with a Facebook status of "I love peanut butter and jelly sandwiches" that I had posted one day that he commented and we literally had a 20 comment thread on pb&j! One thing leads to another and he made a FRIENDS reference that stopped me dead in my tracks. I was shocked because I really didn't think he, or anyone for that matter, was a FRIENDS fanatic like me. I felt like that kind of opened the door a little bit and I was interested in getting to know more about his personality. As we casually kept communicating through FB messenger I decided to suggest we play a game (no, I was not secretly Jigsaw). I told him "I'm going to ask you five tough FRIENDS question to test how much of a fan you are". He said he would only do it if we exchange numbers (slick move babe). We did and he went along with my crazy game and he got all of them right! I was so impressed and he asked me if he was able to ask me some FRIENDS trivia questions. He told me that if I got one wrong, I had to go on a date with him. I laughed because I knew no date was going to happen because I knew everything about FRIENDS. I got all the questions right until "what is Chandler Bing's job came up?" I was at a loss because it was such a mystery for many seasons: what was Chandler's exact job title? I definitely lost that one and I held up my end of the deal and went on one date with him on June 4th, 2011. It was the best decision of my life and I'm happy I didn't know what Chandler Bing's job was because I found an incredible husband. Life is extremely funny and you never know what can bring two people together. Yes, even something as silly as FRIENDS. I'm glad my favorite show brought an incredible person into my life. Hope you guys enjoyed my story. As always thank for reading. Are you a FRIENDS fan? Comment below! I love your story babe, Friends is one of my favorite shows ever!